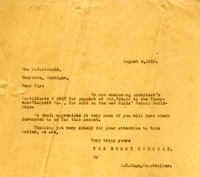 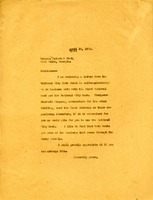 Henry Ford's secretary writes the Berry Schools to inform of a donation made to the schools for a new water supply and for the girls school recitation hall. 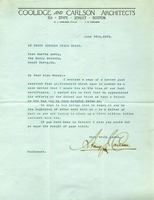 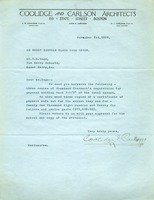 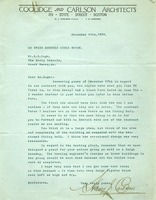 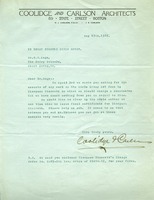 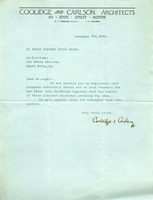 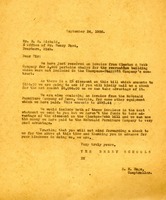 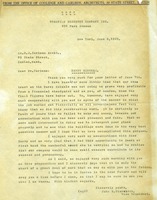 The firm writes to Mr. Hoge about the accounts of the work done by Thompson Starrett. 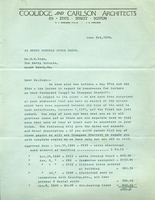 Letter encloses a certificate for $83,708.55 and asks that a check for that amount be written to Thompson-Starrett Co. for work performed on the new Girls' School buildings.